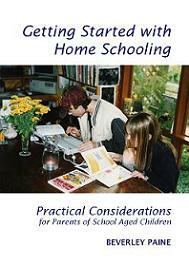 Homeschool Australia Get Rid of those Cranky or Bored Kids! Do you have cranky or bored kids that are driving you nuts? Here's a simple solution that will get all feeling much better in no time. Sounds too simple? It is, but there's a catch - there's always a catch isn't there? Children usually get cranky or bored at times when it's most inconvenient to us: when we don't have time to stop and talk or play and just want to grab the nearest, quickest solution and have them go on their merry way again, leaving us to do what we want or need to do in peace. Life isn't like that. Our kids are cranky and bored because we've been too busy to care for them. Kids need attention. The more they get from us the less they need. There are lots of ways we can pay attention to our children when the 'naughty' or irritating behaviour begins to kick in, but a sure fire way of breaking the cranky or 'I'm bored' habit is to get up and do something physical. Yep, exercise. Did you know that nothing works faster to boost people's mood than exercise? It's a natural antidepressant. The oxygen that it sends to the brain fires up the imagination and we begin thinking, daydreaming, and problem solving and we immediately feel much better. 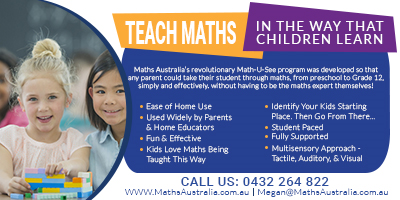 A lap or two around the living room will have your bored kids solving their own dilemma! Turning the living room into a gym may not be that suitable, and besides, fresh air will produce those desired results much sooner. So head outside. Sometimes a change of air is all that is needed. For really cranky kids, try moving under a tree, or better still, next to a body of water. When I'm down in the dumps or feeling really aggro I head to the beach. Try it: the transformation is amazing. Often I don't even need to go for that walk after all, although walking down the beach is pure pleasure. Did you know that researchers have found that an hour of aerobic exercise - that's the sort that makes you huff and puff - reduces tension, anger and fatigue. Those that are feeling low, sad, or depressed feel the greatest benefit. Exercise can lift a person's spirits as well as vigour. Life looks brighter after we've jumped, hopped, ran, skipped, and waved our arms about! So take a ten minute break from whatever you're doing, dream up a fun physical activity and drag those kids outside. You'll feel better. I'm sure they will too.